Swine Flu, originally uploaded by amulya. a lil dose of reality check. we read everyday abt swine flu and all the people it is killing. but it never really hits home. 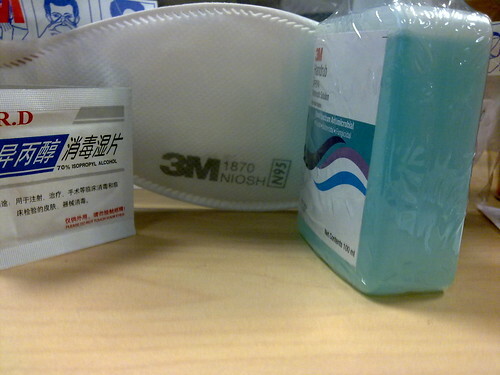 till i see these little things on my desk when i got to work... a mask, a disinfectant and tissues. time for a reality check.